It’s Thanksgiving Dinner. The table is beautifully set and decorated. The meal has all the important elements, turkey, along with wonderful side dishes like sweet potatoes, cranberries, cornbread and….hummus. We’re in Israel after all, where allowances have to be made along with the opportunity to introduce this wonderful celebration to friends and family who may not have experienced it growing up in Israel. Thanksgiving is the celebration that my American-born parents took seriously, along with Jewish holidays and Shabbat observance. It allowed them – children of Russian Jewish immigrants after WWI – to give thanks for all that their families had received in the United States. As a child growing up in New York, it was my favorite holiday. As it wasn’t Shabbat, we were free to cook in a relaxed fashion, watch the famous parade down NYC’s 5th Avenue, drive and sit in traffic – along with the everyone else – as we traveled to our cousin’s house for a relaxed late-day, celebratory meal. 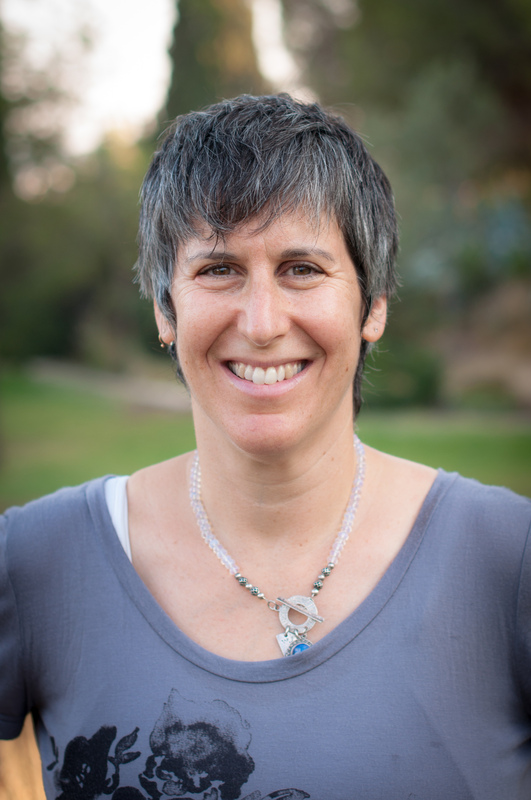 For me, 11 years into my Israel experience, Thanksgiving connects me to the reasons why I moved to Israel: To be part of the Jewish homeland, in a complicated place where I can live freely as a Jew and be part of building, as co-founder of Shutaf Inclusion Programs in Jerusalem, a more caring community of diversity, inclusion, and equality for all citizens, with and without disabilities and from all cultural backgrounds. Thanksgiving is about being grateful for the bounty of foods available in the local markets, the unique smells and tastes of the Levant, and being able to argue about where the best hummus can be had – countrywide. Thanksgiving is about giving thanks for my life as a new immigrant, complete with adult children living in Tel Aviv and Sderot, and my sister up the block from me in Jerusalem. Thanksgiving is that holiday worth adding to the already heavy schedule of holidays here in Israel. Why? Because of its secular nature, it can offer biking and roller skating, followed by a meal that all can share and enjoy, while bringing new traditions and new foods to the table. This year? All will partake at our celebrations – religious and secular, vegan and carnivore – and all will enjoy. A day that all can celebrate the wonders and challenges of the dream of a להיות עם חפשי בארצנו. Now, where did I leave you? It was early June when in the space of one week, 2 pairs of Akiva’s glasses went missing. The story has continued in amazing, astonishing and mystifying ways. BEFORE YOU READ ANY FURTHER, please don’t tell us to get him glasses with straps – been there, done that – or to get his glasses personalized – we have – or tell us he’s a candidate for LASIK surgery – right now it’s not on the table – or that he should have contacts – if you’d like the job of putting them in and removing them, but know he’s not a candidate. HOW IT ALL BEGAN: Two pairs of glasses gone in a week. One pair went missing at school. One pair went missing at Shalva. DIFFERING REPORTS: What really happened and when the missing glasses were first noticed as gone. STRANGE MOMENT: One month later, 1 pair reappeared only to go missing again a week later. THIS WEEK: We swapped him into a cheaper $80 online spare. That pair was grabbed and broken by someone yesterday, at Shalva. GLASSES COUNT: That’s 3 glasses in 6 weeks. ALSO THIS WEEK: Ira put on his detective hat and went and chatted up the afterschool bus drivers. The bus and what happens on the bus, is of course, a black hole. One driver said, “sure I know Akiva wears glasses.” Ira inquired if he’s ever found a pair on the bus, and believe it or not, he went and fished up a pair saying who’s are these? Guess what, They’re Akiva’s but an older pair from who knows when. Can you imagine? The bus driver never once asked at school or Shalva, or the children and teens on his bus, if anyone recognized the glasses. SAID BY STAFF: Now we know to check Akiva when he comes off the bus. That’s because we’ve never discussed this before? And what happens in September, that is if I’m not in jail by then, when you have complete staff turnover as you do each year? SAID BY OTHER STAFF: These things happen. The facts as we see them. AKIVA’S FRAMES: Akiva has worn the same frame for some time as it’s easy to replace online and fits him reasonably well. And, they have his name on them. Ok, it’s in English but seriously. He does occasionally wear another style – yes, they have a strap and yes, that doesn’t matter. AKIVA’S VISION: Akiva is -9, or 20/1000! He’s significantly nearsighted. Measuring his sight is done passively, but we’ve seen, as he grew accustomed to glasses, how much they help him see better. Yes, people with Down syndrome are often over-corrected but we see that he does need some kind of correction. Akiva also has strabismus (he’s cross-eyed), and nystagmus (rapid eye-movement, now much better), and has had corrective surgery (as have all 3 of our children, as it runs in the family). GLASSES COUNT: We estimate 17 pairs. Since 2006, when we moved to Israel, we’ve ordered glasses online, through a few local shops in Jerusalem (1x a year we get a Maccabi discount), and through our cousin the optometrist (good glasses too high a loss factor). I am, but that’s not the point. I’m here in the house, staying cool, doing my happy Friday thing, fruit crisp in the oven, Ira out buying whatever he’s decided we need. My phone bleeps. Ira’s telling me some story about Akiva’s glasses being thrown off the walkway at school. The teacher called all flustered with some whole ‘meysa,’ or story, which we immediately tune out. What’s the point in listening? Someone grabbed them off of his face. 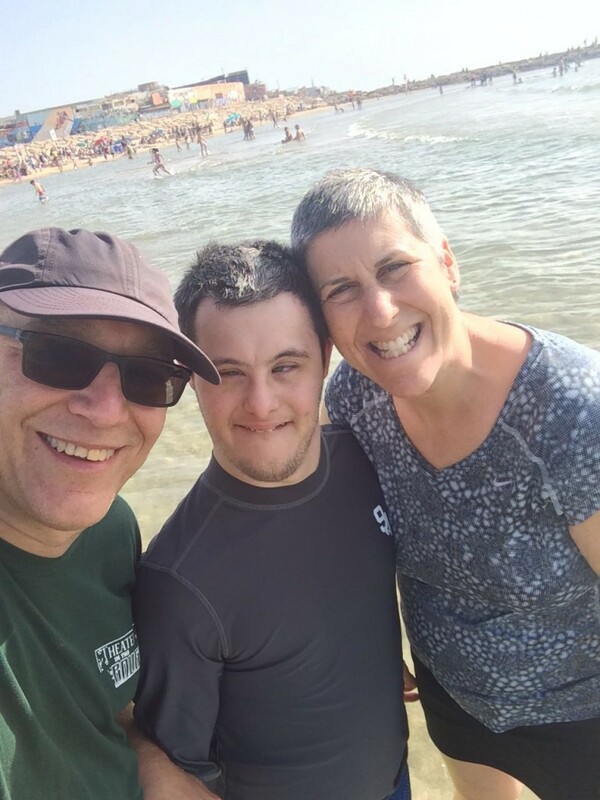 He was clearly not in a supervised space – whatever, can’t supervise everyone at all times – and the glasses landed, wherever they landed, to join Akiva’s other gone-missing-never-to-be-found-glasses that go missing in a given year. Ira and I, the good Anglos that we are, buy more glasses. Heck, we support Zenni optical, ordering 4-6 glasses yearly. The school? They do nothing. Akiva has lousy sight and while he’s kind of cool being out-of-focus in his daily life, we are not. Wearing glasses has been a task that we’ve worked on, assiduously, since he was about 7 years old. It took years for him to accustom himself to them, and indeed agree to wear them. While he doesn’t necessarily ask for them, he gets that they have some use for him in his daily life. 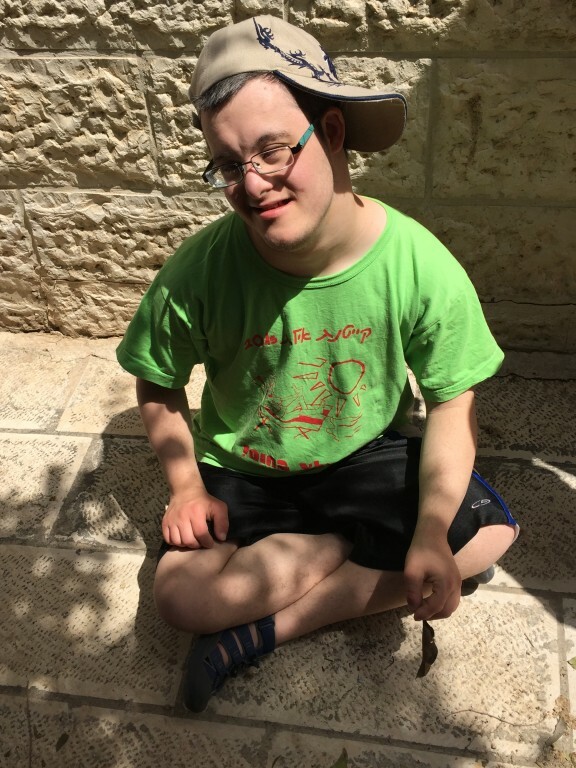 Akiva also, like many of those with Down syndrome, has a small face, little ears, and a minuscule nose bridge, making fitting him in a good looking pair of glasses a challenge. We’ve tried many types of frames, going back and forth between the more expensive stretchy frames with better quality lenses which we buy locally (they fit the best), to cheaper online options that do the job less comfortably. What’s school supposed to do? I should be grateful, I guess, that Akiva’s not at risk for the stuff that’s standard procedure in Israeli schoolyards countrywide, where tough and even bullying behavior is too often excused as the norm. Ira and I get that you can’t keep your eyes on every student, and every event that goes down. We really do. But what about Akiva’s vulnerability in this? What about his inability – truly – to protect himself? What happens – and I assure you I worry about it daily – when the boys are all sent off to use the facilities before breakfast? Who’s watching them then? In an educational system – and this is a worldwide issue I’d say – predominantly staffed by women, at a certain point, boys are left to do their own thing in the bathroom. Builds independence and all that. If a person is vulnerable, then we must be charged with protecting them. If a person is vulnerable because of disability or age or illness or whatever, then we must put a plan in place for assuring them their safety. Always, and at all times of their lives – cradle to grave. That’s what social services is supposed to be about. That’s what building and securing the person’s well being – regardless of specific need or age – is all about. And in childhood, when the responsibility is shared by many different agents, from school to after school programs to other children’s homes on playdates, that becomes complicated. Parents presume – or they wouldn’t send their children off – that the these other environments have claimed responsibility for them. 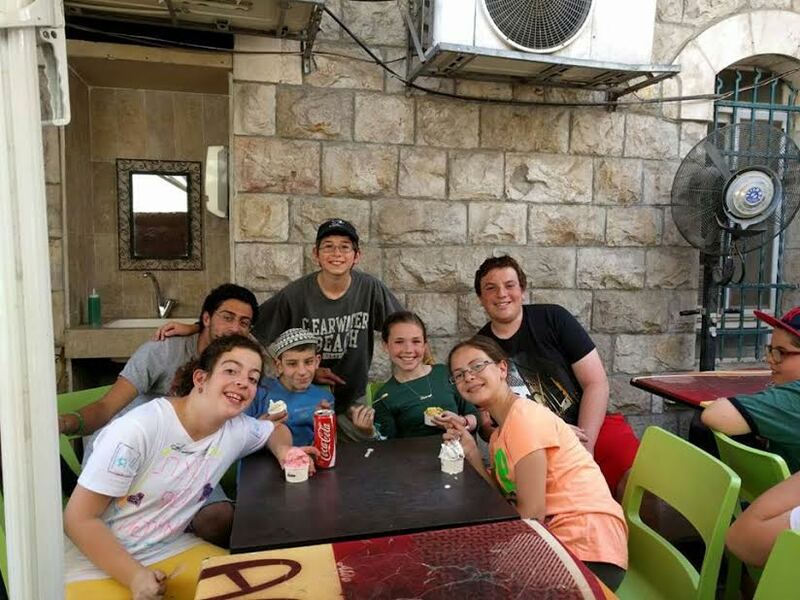 “So, what are you thinking about – for Akiva – after next year?” asked the school advisor recently. “Nothing,” is what I felt like saying, instead responding in a desultory fashion with whatever the moment required. I’d like Akiva to live at home with us, until he’s an old man, and we’re even older. I’m down with keeping the helicopter blades permanently turning over him, Ira and I (with the help of Akiva’s caregiver, Indu), continuing to be in charge of fussing over him, making sure he’s happy and well-turned out. You know, well-fed, well-slept and well-watered, clean-shaven, glasses cleaned, blackheads removed (my job), fingernails trimmed (Ira’s job). In short, loved and respected. Honored and yes, protected. We don’t see anyone truly applying for the job. There’s a strange disconnect between inspiring people, doing what everyone says is ‘amazing work,’ and actually succeeding in keeping it going. I guess that’s the nature of founding an NGO,Shutaf Inclusion Programs, something that I did with my colleague and co-founder, Miriam Avraham, in 2007. 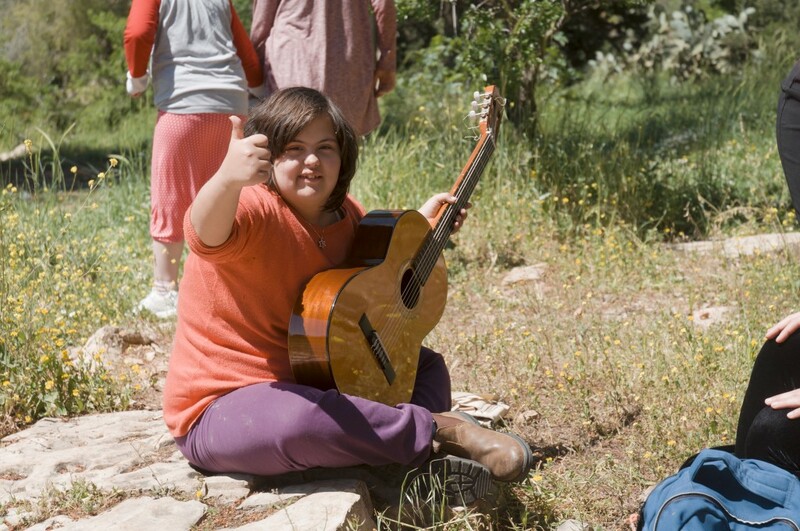 Eight years later, we’re proud of our innovative work in the field of inclusive informal education, as well as having grown from a grassroots initiative to a project that offers excellent and professional programs to more than 150 children and young people, with and without disabilities, year-round. This past Yom Ha’atzmaut, 2015, I was honored to be listed as one of 67 Inspiring Women in Israel by Jewish feminist and author Elana Sztokman. Fantastic, right? I’m tickled. Miriam and I, along with Shutaf’s dedicated staff, have worked hard. Our Shutaf board was delighted. Of course, we shared the good news via email and social media. So, what’s the problem? We have no home for summer camp. We have no home. Period. And I’m running out of inspiring and amazing ideas. August summer camp, one of our banner programs, offers 3-fantastic weeks for 100 participants. That’s real respite for working parents, at a quality, inclusive-educational program based on the values of American Jewish camping. When the program was young, we were smaller – finding rental spaces was easier. We expanded because of need, especially in August. School buildings? They paint and renovate in late August. Not one has said yes. Community centers? They’re either too small, or too disinterested in what we do to respond to our phone calls and emails. Green spaces? It’s Jerusalem. There are so few workable locations that are appropriate to our mix of children with varied issues, both physical and developmental. And it’s August. We need shady areas as well as rooms indoor that are air-conditioned. And you can just forget about accessibility. I’m thinking of holding camp at Safra Square, the wide-open space at the Jerusalem Municipality downtown. It’s spacious, if a bit too sunny in August. There are bathrooms in the nearby buildings but they won’t like the kids running in and out. It’s not enclosed safely, which means our staff will be spending most of their time chasing after the kids who like to –and need to — run. We will certainly make too much noise but maybe that will make the mayor finally pay attention to the population Shutaf serves, with little help from the city. We’ve called and written to so many local advocates. Times are tough. The government has only just formed a coalition. The municipality doesn’t know how to categorize us. We’re not a youth movement. We mix participants with a variety of diagnoses. We’ve never applied for municipal tenders – who can meet the criteria anyway? Who is really thinking about the needs of a small and scrappy NGO that just wants to make August a bit easier for a bunch of children with disabilities? Nobody. Last fall, we delayed opening our afterschool program because we were homeless after a rough war-torn summer where we hosted camp in a facility which while accessible, proved unwelcoming over a 3-week camp session. Shell-shocked, we looked carefully for a new partner. While we ultimately found a place of welcome, we’ve struggled, as we have every year, with being the ‘renter,’ often shunted to the side as needed. A visiting foundation representative asked me why we haven’t held a capital campaign in order to fund building or renovating something. I asked him if that would be proper financial stewardship of an organization that still only receives less than 3% of its yearly operating funds from government or municipal sources. An organization that while successful, is far from financially sustainable, even though we’ve managed to grow and find the funds, most of the time, to serve our community of children and young people with disabilities. There’s so much we could be doing as an innovative and exciting NGO, to truly inspire the community to include, to see difference as less fearful and worrisome than it currently does, if I didn’t have to, along with Miriam and our staff, spend endless hours making phone calls, canvassing neighborhoods for potential buildings, knocking on doors, writing emails and generally wringing our hands. We hope we’ll find an answer.